The most ambitious exhibition of the work of Lucian Freud for ten years will open at the National Portrait Gallery, London, in February 2012. With over 100 paintings and works on paper loaned from museums and private collections throughout the world, Lucian Freud Portraits is the result of many years’ planning by the Gallery in close partnership with the late Lucian Freud. The exhibition will be a countdown event for the London 2012 Festival – the culmination of the Cultural Olympiad. 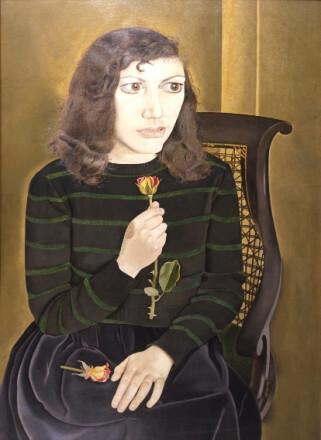 Paintings of people were central to the work of Lucian Freud (1922–2011) and this exhibition will be the first to focus on his portraiture. Concentrating on particular periods and groups of sitters to show Freud’s stylistic development and technical virtuosity, the exhibition will include both iconic and rarely-seen portraits of the artist’s lovers, friends and family. Described by the artist as ‘people in my life’, these portraits have been selected to demonstrate the psychological drama and unrelenting observational intensity of his work. A private man, Freud’s close relationship with his sitters was played out in private. Sitters represented in the exhibition include family members, particularly his mother Lucie, and artists such as Frank Auerbach, Francis Bacon, Michael Andrews, John Minton and David Hockney, and the performance artist Leigh Bowery. Bowery’s friend Sue Tilley, the ‘Benefits Supervisor’, who was immortalised by Freud in a series of monumental paintings in the 1990s, is also included in the exhibition.